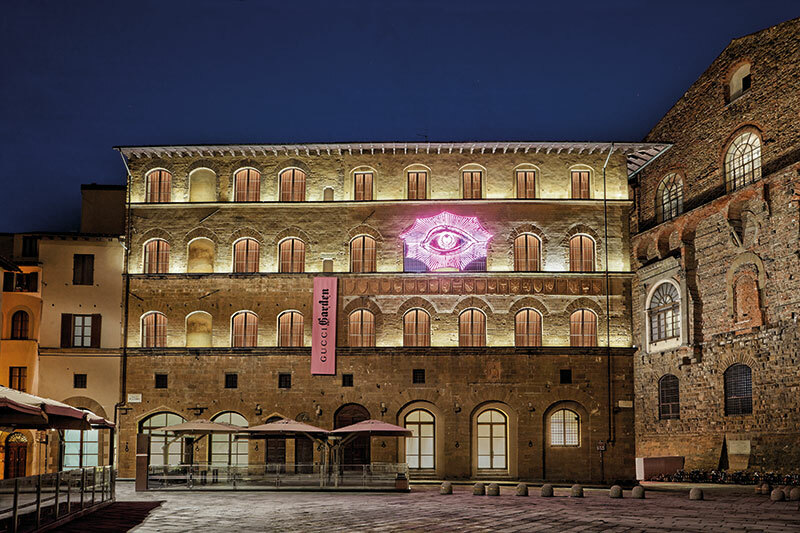 Marked by a large, illuminated neon eye on the facade of an ancient heritage building in Florence, Gucci Garden is the brand’s recently launched imaginative new museum. 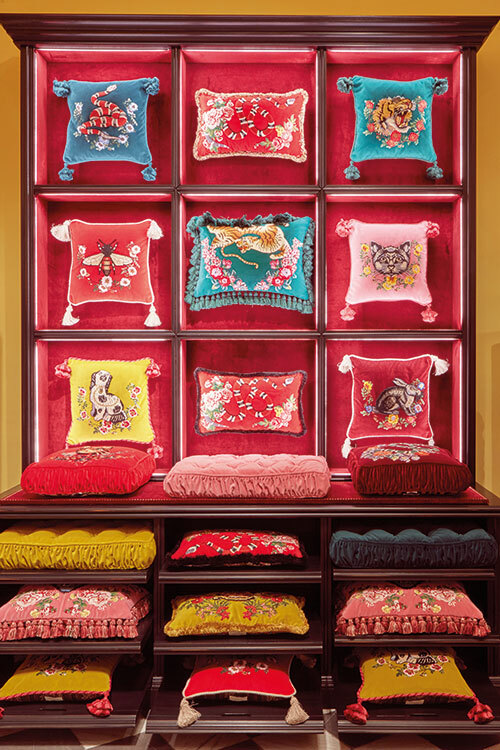 Including a dedicated ‘creative laboratory’ that offers a galleria of Gucci paraphernalia, it is also home to a concept store for exclusive items and a restaurant by a three-Michelin-star chef. An homage to the city of Florence, the epicentre of cultural exchange particularly during the Renaissance, and paying tribute to the brand’s Florentine roots, it is only fitting that this curatorial gem be housed in the multistoreyed heritage building, Palazzo della Mercanzia. 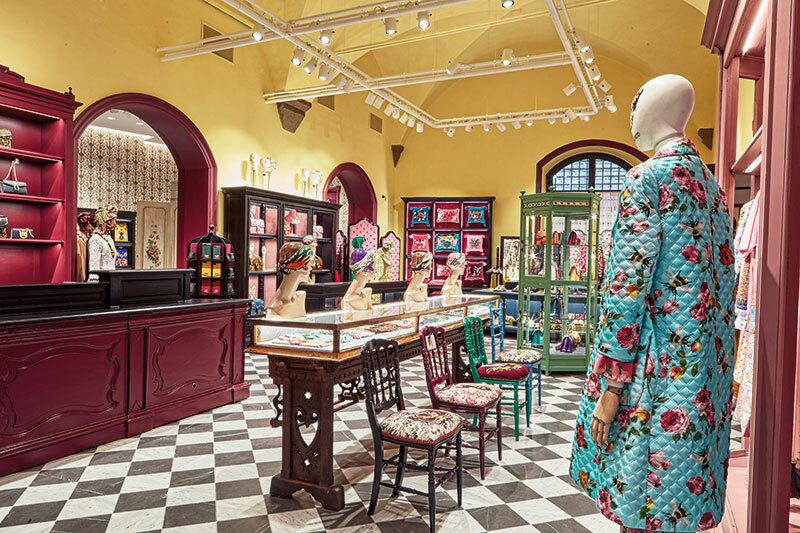 Brainchild of none other than the brand’s creative director Alessandro Michele, the conventional museum reimagined as a creative space, expresses through various floors the evolving aesthetic and philosophy of the house. 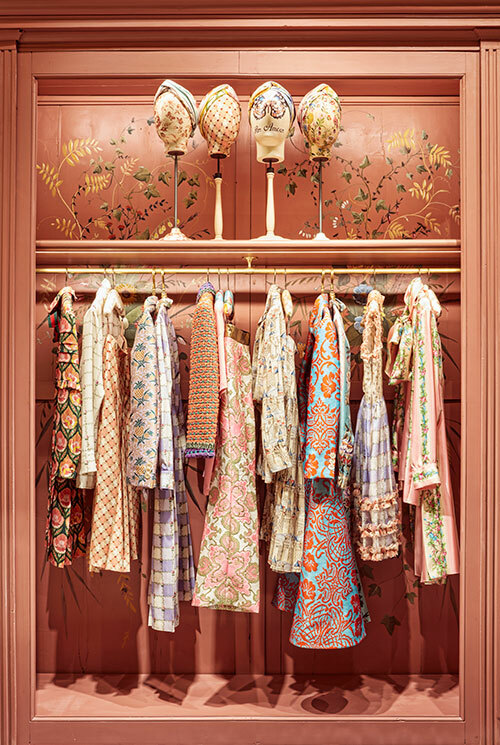 Think contemporary pieces in a dialogue with vintage and walls decorated by artist-photographer Coco-Capitán alongside Gucci-fabric-patterned wallpaper. In keeping with the spirit of creative collaborations and reinvention that Gucci is known to embrace, chef Massimo Bottura heads an intimate restaurant on the ground floor, the Gucci Osteria, that serves delectable and iconic Italian dishes as well as conceptual twists on classics for an all-day dining experience. Critic and curator Maria Luisa Frisa has worked with Michele to organise the galleria that spans the first and second floors of the palazzo. Purposefully in no chronological order, the displays imaginatively mix objects, video content and artworks alike. 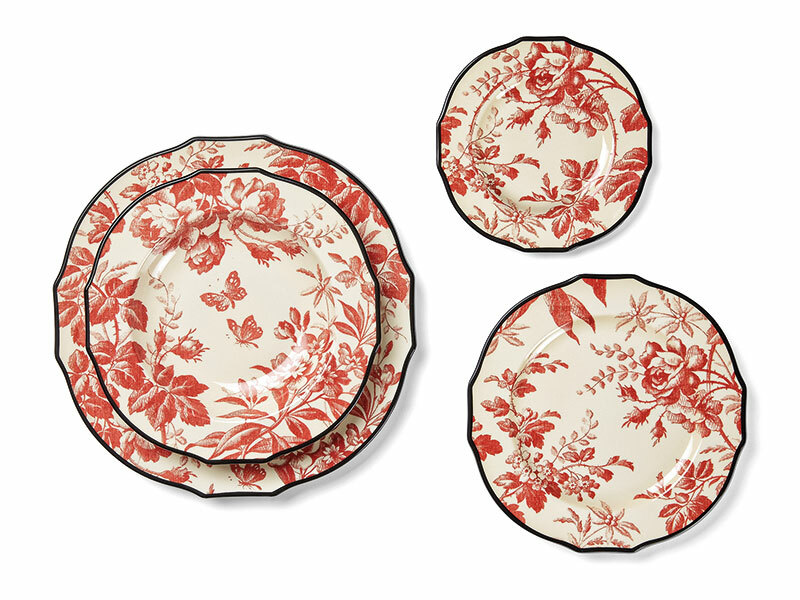 With something for everyone, the Gucci Garden leaves no stone unturned. 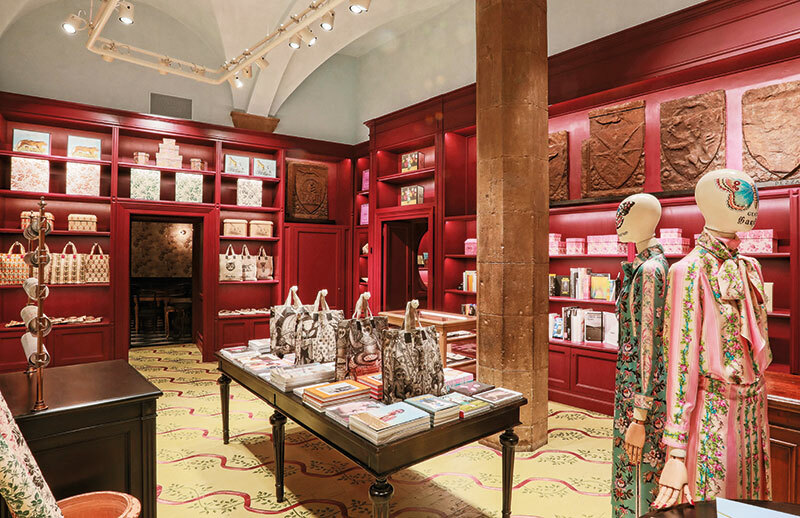 The ground floor houses a bazaar-like store wherein one can find skirts and coats in brocade, one-of-a-kind creations, decor and innovative magazines and publications that come exclusively designed and cannot be found in stores. While the space has been carefully built to respect and celebrate the original architecture of the palazzo, it is hard to miss the brand’s penchant for recreation, be it the juxtaposition of elegance and creative elements or the collision of the past with the present. The true allure of Gucci is in its creative reinvention, whether in the plethora of transformations that the logo mark has been through, the reinterpretation of the icons, or its creative collaborations. 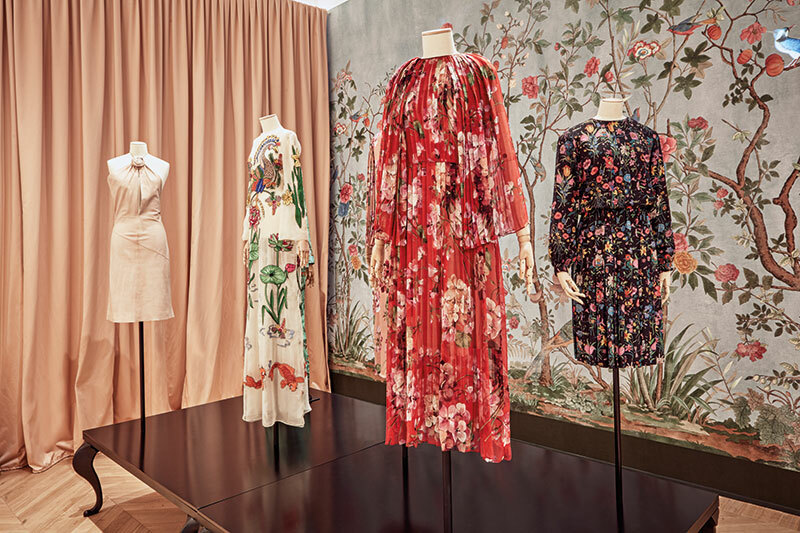 With the power to generate an online presence but also innovatively reimmerse shoppers into brick and mortar, it is safe to say that the Gucci Garden calls for anything but a garden-variety experience….